After a wild Wednesday, all six representatives of the Chicago Blackhawks have a shot at a medal in the 2010 Winter Olympics. The day began with the United States defeating Switzerland 2-0 in a game that was actually dominated by the losing goalie. Anaheim’s Jonas Hiller was arguably the best player on the ice, but the one goal he allowed was too many as the Americans’ exceptional defense was too much for the Swiss. 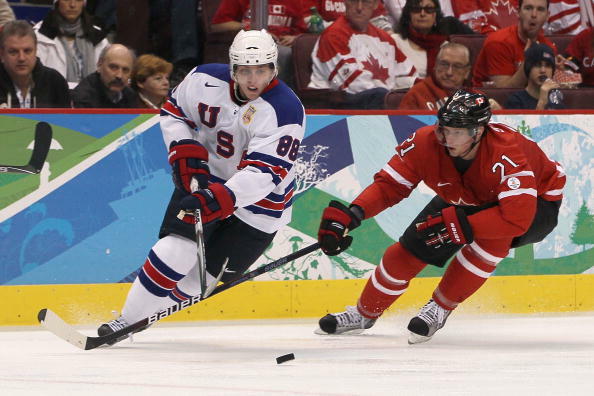 Patrick Kane and the United States will play Finland at 2:00 pm on Friday. Canada was supposed to play Russia in prime time, but the Russians forgot to show up. 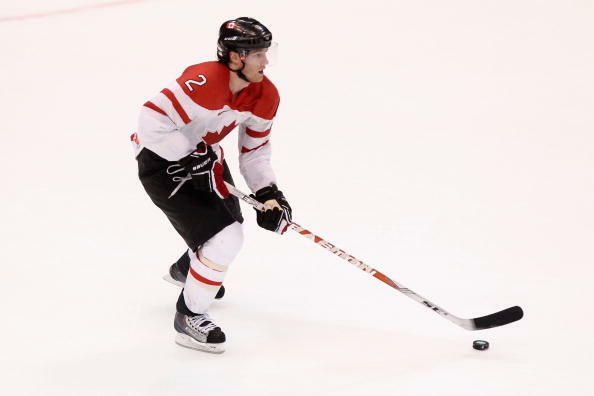 When the dust settled, both Jonathan Toews and Duncan Keith had two assists each and the host nation won with a score more likely to happen in a football game than ice hockey. 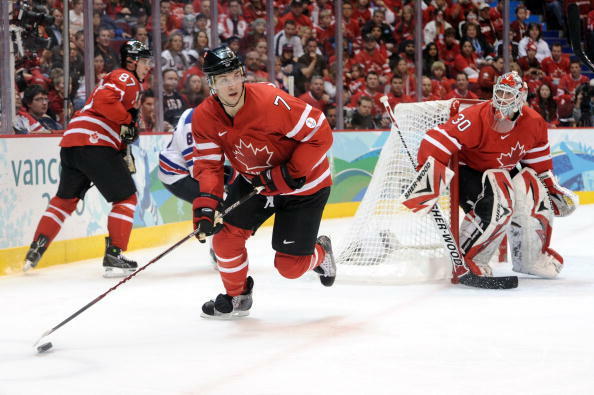 The 7-3 loss was one of the worst in Russian Olympic history, and establishes Canada as the team to beat moving forward. In the late game, Slovakia was the decided underdog against the reigning Olympic champions from Sweden. But in a game highlighted by three assists from Marian Hossa and a big goal from Tomas Kopecky, the Slovaks upset the Swedes 5-4 to buy another couple games. 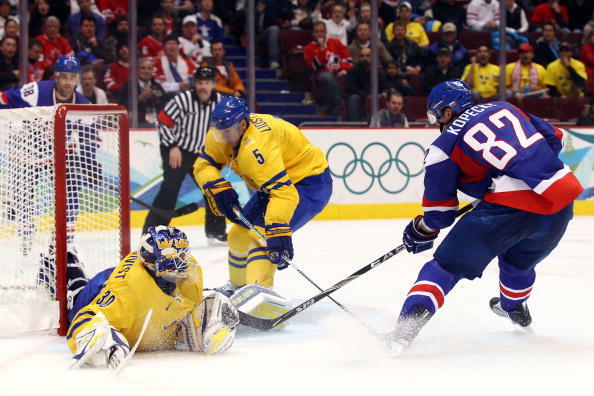 Toews, Keith, Brent Seabrook and Canada will face Hossa, Kopecky and Slovakia at 8:30 pm on Friday. 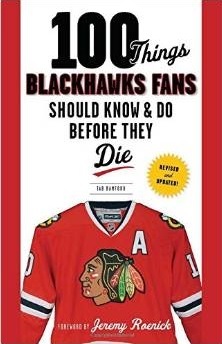 So far in the tournament, the Blackhawks’ leading scorer is Toews with seven points, all from assists (he leads the entire tournament in points, assists and plus-minus at +9). One of the three players tied with Toews for the tournament lead in points is Hossa (two goals, five assists). Kane and Kopecky each have just one point in the tournament by virtue of scoring a goal, with Kopecky’s coming at a crucial time on Wednesday night. Seabrook has one point as well, an assist. Keith, like Toews, has not yet scored a goal but has been credited with five assists in the tournament.